Your Homes Electrical, AC and Plumbing Repairs Fixed Right at the Speed of Light! Prompt and professional technicians at your service! When you need help staying comfortable in your own home, don’t hesitate to reach out to our team at Universal Home Experts. Since 1992, our family owned and operated company has proudly been serving the Houston area with highly skilled home services. Our team uses the latest in technology and their comprehensive knowledge in the HVAC field to provide repairs, installations, and maintenance programs tailored to your needs. A problem with your home can be a huge inconvenience and receiving help from our highly skilled technicians the same day can help alleviate a great deal of stress. 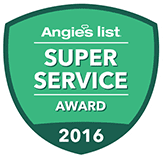 Since we started our business, we have been recognized for our commitment to providing our customers with an outstanding level of service. We provide upfront pricing so you are fully aware of the cost without any surprises after the work is done. All of the technicians on our team are licensed, have undergone background checks, and have been drug tested to help ensure that you receive an expert level of service. Our HVAC, plumbing, and electrical services in Houston are focused on you. As a locally owned and operated company, we have strong ties to the community. This means we’re not just serving customers, we’re serving our neighbors, friends, and family. As such, we treat you the same way we would our loved ones. 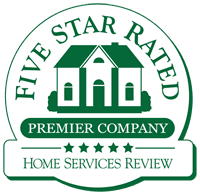 When you see a Universal Home Experts vehicle pull up to your property, you can rest assured knowing the experts are on the job. Schedule your service today by calling Universal Home Experts at (713) 364-0226 or by filling out our contact form.